Uganda's decision to kick out Rwandan national Annie Bilenge Tabura, MTN Uganda's head of sales and distribution, has triggered protest from the neighbouring country. Ms Tabura and her colleague, French national Olivier Prentout - who was the telecom's chief marketing officer - were deported by Ugandan authorities on Saturday and Monday respectively. Now Rwanda's Kampala mission has accused Uganda of deporting several of its nationals under dubious circumstances. Security sources have said the two senior officials were deported after intelligence agencies intercepted their communication to "a dangerous foreign group and persons" deemed a threat to the country's security. "They were in regular contact with bad people," a security source told Daily Monitor. Mr Prentout was arrested on Saturday at the Entebbe airport on arrival from a business trip and deported. 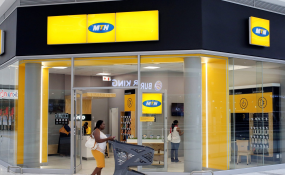 On Tuesday, MTN Uganda issued a statement confirming the incident did not offer more details on allegations against its staff. The statement said Ms Tabura was arrested by unidentified security personnel upon arrival at the MTN headquarters in Kololo. "Both Mr Prentout and Ms [Tabura] have been deported from Uganda to their home countries, France and Rwanda respectively. MTN Uganda, together with all its employees, remains fully committed to operating within and respecting the laws of the country," the statement said. Security agencies remained tight-lipped on the matter. No government official explained how the two MTN foreign officials had allegedly worked clandestinely to jeopardise Uganda's security. When asked about the cause of the deportation, the Uganda People's Defence Forces (UPDF) spokesperson, Brig Richard Karemire, deflected the responsibility to police. "That's a police issue. They have already issued a statement on that," he said. "They have been working with a leading telecom company and could use the telecom's devices to tap calls of government officials. This has been going on for a while and a team of IT experts were assigned to track them down," a senior security source said, another claim Daily Monitor could not verify. Rwanda's High Commissioner to Uganda, Maj Gen Frank Mugambage, on Tuesday said he did not know why the Rwandan national had been deported. "What is the case against her? Ask them. The right people to tell you what she was arrested and deported for are "them" (Uganda government)," Maj Gen Mugambage said. He said Ms Tubura is not the first Rwandan to be deported by the Uganda government, adding that several Rwandese have suffered the same fate under unclear circumstances. "I have written to them [Uganda government] and asked why they are deporting Rwandans. I have not got any answer," said Mr Mugambage said. The immigration spokesperson, Mr Jacob Siminyu, only said the deportations were done correctly and followed the legal procedure. On October 28, 2018, President Museveni wrote to Uganda Communications Commission demanding an explanation why the fees for renewal of MTN Uganda's operating licence had been reduced from the original $100m (about Shs370 billion) to $58m (about Shs217b).